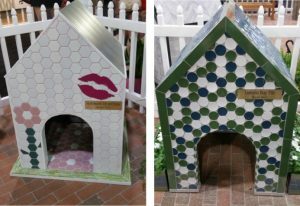 Art Tile Courtyard – Tile Council of North American Pavilion – Come by and see an amazing array of imaginative dog houses, tiled to perfection by TCNA member companies, and some perky pooches to pet as well. Coverings Connect – Relax, charge personal devices, and network in the Coverings Connect Lounge; enjoy 15-minute “Byte” sessions that address growth through social media and online channels. 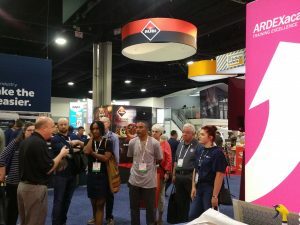 Coverings Connect is located right on the show floor. 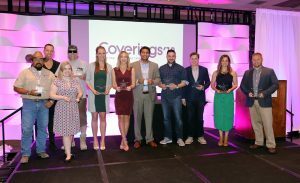 Coverings Installation & Design (CID) Awards – celebrate outstanding achievements in the design and installation of tile & stone in both residential and commercial projects. Attend the CID Awards Reception on Wednesday, April 10. 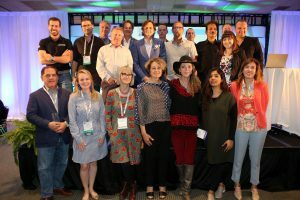 Coverings Rock Stars – Emerging Leaders – This program recognizes and engages the best and brightest young talent in the tile and stone industry. 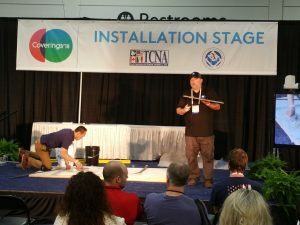 Live Installation Demonstration Stage – One of the most popular features at Coverings, these live “how-to” classes offer attendees an up-close look at how top contracting pros handle a variety of challenging tile installations. 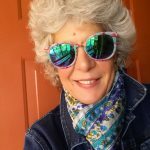 Attendees will see exactly how to install a wide variety of new products and learn techniques to make tile & stone installation more successful. Online Pre-Event Planner – Attendees can now create a personalized event planner for Coverings 2019 using their registration confirmation. In the planner, attendees can favorite exhibitors and products and build and education and events schedule ahead of time. Mobile App – Info on Coverings is as close as your fingertips with this app. For 2019, it will once again include an online new product showcase and a way to coordinate meetings through your profile. New Product Showcase: Don’t miss the New Product Showcase, available on the Coverings website and mobile app. Discover the new products and trends exhibitors are bringing to Coverings 2019. Mark favorites and visit those booths on the show floor. 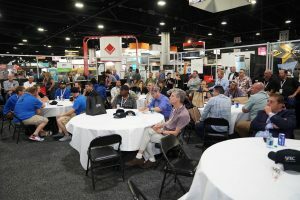 SFA & the Stone Zone – The Stone Fabricators Alliance presents demonstrations and sessions for fabricators and installers as well as products designed by fabricators FOR fabricators. Quickfire sessions – These 15-minute sessions that give quick insights into the highlights of the Why Tile campaign take place right on the show floor in the Coverings Connect lounge. Coverings has expanded The Installation & Design Experience with more demonstrations, cutting-edge vignettes, and interactive learning features. This space will also serve as a networking hub on the show floor for those interested in installation best practices as well as a chance to view specially designed vignettes showcasing the synergy between great design and installation. There are several highlights for contractors in the educational program as well. The Installation & Design Experience area will include the NTCA Contractors Lounge – a place to learn, network, grab a snack and take part in educational games, contests and drawings. Learn more about NTCA and its role in the industry, and about the CTEF and ACT tests. In addition, consider some of these features, geared towards the contractor community. º Transparency Trilogy Part III: Artistry and Creativity: A Timeless Component of Tile and Stone Installations. The session will take a close look at unique individuals who possess the passion, drive, discipline and skills necessary to install, train, and supervise projects that require the craftsmanship to create lasting masterpieces. Thursday, April 11, 9:30 am – 11:00 a.m.
NTCA booth tours – There are a LOT of installation and setting material exhibitors at Coverings, so how to see them all? Sign up for a NTCA booth tour, and visit at least 10 exhibitors in one hour on a well-paced informative tour. NTCA Awards night – Join NTCA for its annual Awards Night on Thursday, April 11 at 5:30 p.m. 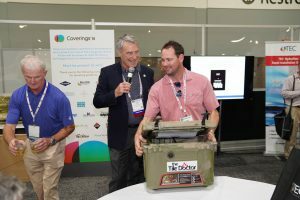 Being announced this year is the brand new “Tile Setter Craftsperson of the Year” member award that will be unveiled at Coverings, and the winner determined before Total Solution Plus.